When bingo can be lucrative and fun, it is also a game that may frustrate you. You might think about dominating the bingo hall or finding a cheat of the game, but you may face defeat while waiting for the last number that is missing for your winning combination. 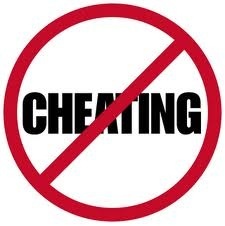 After regaining your composure, if you are still thinking something illegal, let us tell you one thing - you should never cheat at bingo, no matter what the situation is. You won't just get banned from the bingo hall or casino, but you will also face legal trouble. Land-based casino halls have a lot of cash but they have a lot of security personnel to ensure avoiding all the illegal activities. The chances are low for robbery. These security guards spend a lot of time to prevent suspicious activities from the players. You may have seen online robbery a lot of times in famous Hollywood movies in which a programmer hacks through the casino website with his laptop within a minute. In real world, things are little more complex, especially in the leading gambling destination. They spend a lot of money and leave no loopholes when it comes to security of their data against outside intruders. So, it is almost impossible to find anyone who can hack into mobile bingo and get away with a lot of money. Bingo sites and online casinos don't have mercy especially against cheating. If someone is caught stealing their money, they reserve the right to prosecute the offender. Even if someone gets free of charges, they won't allow him to enter into the premises again. It works when caller draws the balls from hopper or bag and announces without having any oversight. In land-based casinos, cheaters sit close to the caller. They use different hand signals to show their desired number when the game starts. A caller draws a ball and announces the desired number, no matter what is printed on ball. This way, a partner is required who works at the hall. Then it is important to learn about the papers used to make tickets and to copy the authentication mark on each ticket. One can hide the fake tickets in a bag and carry at the hall. They blend these tickets with few real ones to get a seat far off from security and wait for game to start. Keep in mind that we don't recommend cheating at bingo. The above points are for information purpose only. do you love the most? Leave your options in the comment section further down.